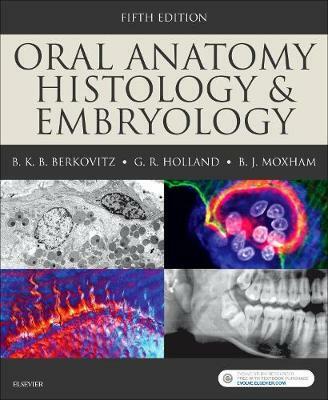 The new edition of Oral Anatomy, Histology and Embryology continues to provide dental students with all of the information required to ensure a complete understanding of the subjects as they relate to dental practice. Authored by experts of international renown, the high-quality images and clearly written text found within this volume - features which strongly characterised the high success of previous editions - make study of these challenging topics as easy as possible. Features include: Written by dentists for dentists - authors who know exactly what students need for safe clinical practice Many chapters include Clinical Considerations which explore pathological findings relating to the topic as well as other areas of importance such as the use of local anaesthesia, TMJ disorders and malocclusion Now includes access to an on-line self-assessment programme - designed to help readers test their knowledge and perfect their exam technique Fully updated throughout and now with over 1200 images - many of them brand new - Oral Anatomy, Histology and Embryology will provide the reader with everything they need to ensure a solid understanding of the underlying biological science of modern dental practice which will help ensure informed clinical decision making, safer patient care and better clinical outcomes. Oral Anatomy, Histology and Embryology will be ideal for all BDS candidates and post-graduates taking related exams.